The Premier League was back with a bang this weekend, with late drama having significant ramifications at both ends of the table, and plenty paid out, or set to be, in prizes right here. We ran 10 pools on the return from international break, with £700 already won and a further £900 to be paid out at the conclusion of tonight’s Monday Night Football between Arsenal and Newcastle. Are you well placed to be a big winner? Premier League Coupon: Our £500 guaranteed £2 pool could go either way depending on the outcome of tonight’s match. Bookiebasher, hippodrome and gailshopes currently lead the way in joint first with 16 points and if Arsenal secure an expected home win, all three players will bag £116. A draw will complicate matters, with six players due to score four points, which will take nine players to 16 points and a nine way split for first prize. But a Newcastle victory would mean an outright win for Tristan Chaplin, who will score 14 points if Rafa Benitez’s men pull off the shock. All three of the current leaders scored six points with their Bankers coming through. Bookiebasher scored double points as Southampton earned a vital 1-0 win at Brighton, hippodrome’s Banker was Burnley, who beat Wolves 2-0, while gailshopes picked Everton to earn an away victory at West Ham, which they did 2-0. Match Pool round-up: Each £2 Match Pool for all the televised Premier League games had £50 guaranteed, with £100 in the Liverpool v Spurs clash. Tristan Chaplin was the victor in that Match Pool, securing £50 despite backing the draw, with Lucas Moura to score at anytime bagging 120 points as Banker. In a frantic encounter, Roberto Firmino’s early header was cancelled out by Lucas with 20 minutes to play, which sparked Spurs into life but they were left to rue misses from Moussa Sissoko and Dele Alli. Hugo Lloris’ calamitous error led to the ball deflecting off of Toby Alderweireld to hand Liverpool a last minute winner to move them back top. Paullovatt won just under £90 for finishing top of the £10 and £25 tables. There was also a dramatic finish in Cardiff, as Chelsea scored two late goals to break Bluebird hearts and secure a lucky 2-1 win. Victor Camarasa’s early second half strike looked like earning the hosts a fantastic three points but Cesar Azpilicueta equalised despite being in an obvious offside position, before Rueben Loftus-Cheek won it right at the death. 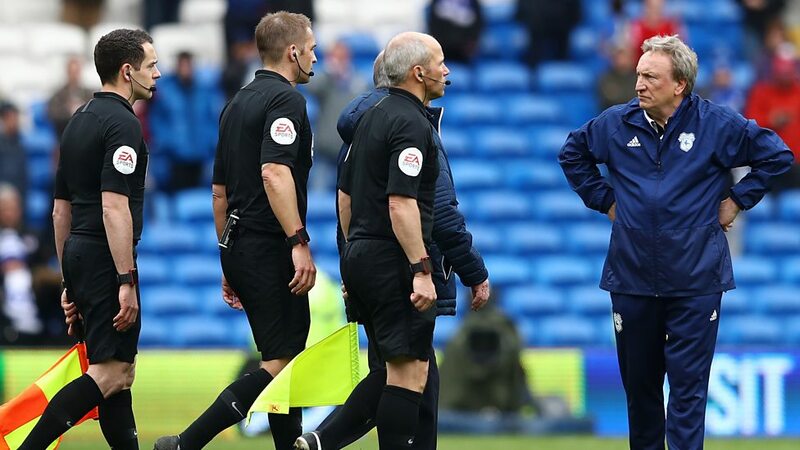 Cardiff can count themselves extremely unfortunate, with two clear penalties denied while Antonio Rudiger was very lucky to avoid a red card - no wonder Neil Warnock was in a glum mood! Those late goals made all the difference in our £2 pool, with DirtyTackle winning £30, thanks to a Chelsea win and any team to come from behind to win, coming through late on. A last gasp victory for the visitors also earned Paullovatt £175 in our £10 and £25 pools. It was a routine victory for Man City on Saturday, with first-half goals from Bernardo Silva and Sergio Aguero condemning Fulham to a 2-0 loss as they slip closer to the Championship. A City win with a 2-0 correct half-time scoreline and Bernardo Silva to score at anytime helped mbandrews clean up both the £2 and £10 pools, on their way to more than £80. Goals from Kurt Zouma and Bernard helped Everton to a 2-0 win at West Ham, with LuckoftheHat scooping £30 in our £2 pool and Ballj £92 in the £25 table. IPL Fantasy Pick 5 pools: It was a bumper weekend of IPL action, with double-headers on both Saturday and Sunday, and up to £100 guaranteed in each £2 Fantasy game. Chesterman69 started to ball rolling on Saturday morning, picking up £43 as Kings XI Punjab beat Mumbai Indians by eight wickets. This was thanks to pool Captain KL Rahul scoring 196 points after his unbeaten 71 led Punjab to victory. The late game on Saturday produced a thriller as Kolkata Knight Riders and Delhi Daredevils tied, before the Daredevils secured a Super Over victory. Kuldeep Yadav managed to defend six off the final over as Delhi matched KKR’s 185, before Kagiso Rabada only conceded seven off his Super Over, when KKR required 11. SPA cleaned up the £2 game, winning £95 of the £100 guaranteed, and bagging £63 in the £10 table, thanks to Andre Russell scoring 298 as Captain, after he smashed 62 and took 1-28. 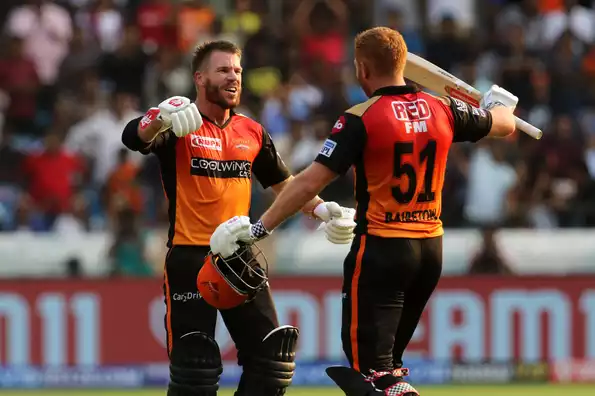 Jonny Bairstow and David Warner helped Shaunfoster1 secure £66 in the £2 table, as both openers smashed tons as they put on a record 185 for the first wicket in Sunrisers Hyderabad’s 118 run demolition of Royal Challengers Bangalore on Sunday. Bairstow scored 436 for Shaun’s team while Warner added 175. SPA continued his fine winning streak in our IPL pools, scooping more than £70 of the guarantee in yesterday’s £2 pool as Chennai Super Kings beat Rajasthan Royals by eight runs. Jofra Archer who took 2-17 and scored an unbeaten 24, bagged SPA 300 points as Captain, while the Professor scooped a total of more than £175 in the £10 and £25 tables. TV Racing and Hall of Fame: In a warm-up for our big money Grand National pools - stay tuned for your chance to win thousands in guarantees with £1million also to play for - there was nearly £300 paid out in our TV Racing Fantasy game on Saturday. Bookiebasher and Wolfish both won £75 for finishing joint top of the £1 pool. Our March Hall of Fame prizes of more than £400 have been paid out, with gailshopes winning £100 worth of free bets in our racing game, riverspill £50 in the golf, Tristan Chaplin £50 in the football and MBAndrews £50 for the darts. April is here meaning we’re paying out more than £300 - in free bets - in our Hall of Fame for football, cricket and racing so make sure you get plenty of entries in for your chance to win!